In California, when a consumer purchases or leases a new motor vehicle, there is the “no cooling off period” rule. What this means is just because you may think that (after signing and taking delivery) that it’s not the right vehicle for you, your payments are too high, or other various reasons that the sale/lease can be cancelled – it cannot. The moment you complete the sale/lease documents and take physical delivery of the car (drive off the lot), there is no “cooling off” period in which to return the vehicle and rescind the sale. At this point it is yours. The only exceptions to the “no cooling off period” are dealer fraud, or if the dealer has delivered the vehicle on a “subject to lenders credit approval” conditional sale, and it later turns out that the dealer cannot secure the necessary financing to complete the sale. A consumer can, however, purchase a 3-day right to cancel contract, if the vehicle is new and under a certain sales price dollar limit. This has restrictions, and is governed by state law, so have the car dealership show you a copy of it before deciding to buy it, or not. Test-drive the vehicle before signing the contract for mechanical/operational problems. Inspect the new vehicle under fluorescent lights for body/paint flaws or dealer-repaired damage. It’s easier to start off with a vehicle that doesn’t required post-sale paint repairs. NOTE: even brand new vehicles may have previously sustained damage during the railcar transportation process, loading or unloading, or while on the car dealer’s lot. If buying or leasing a “used” vehicle, (whether or not it’s factory “certified pre-owned” or not) have it checked out by a reputable mechanic. Also have a reputable body shop check for undisclosed collision damage repairs. Make sure the contract lists all accessories that you are purchasing as part of the sale/lease. NOTE: Accessories added by the dealer (especially non-factory aftermarket accessories) are not reimbursable in a “lemon law” claim. “Lemon law” claims are based on the vehicle being “as equipped” on the factory Monroney label (window sticker). 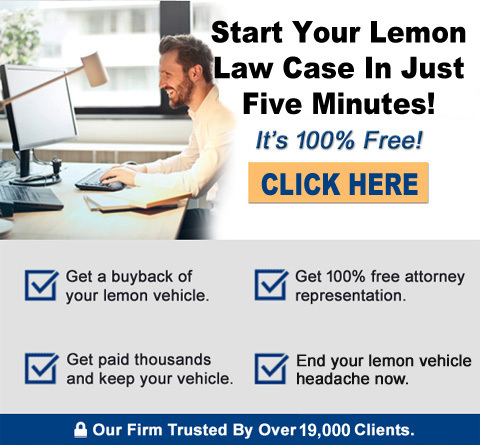 Once you have purchased or leased your choice of vehicle, and if it turns out to be problematic with substantial defects that may be applicable to “lemon law”, it is recommended that you contact a qualified lemon law attorney for legal advice.